While camping out in Bar Harbor and exploring Maine's bold coast we stumbled on Star Point on the shoreline of the MDI Biological Laboratory campus where this cool rock formation extends out into Salisbury Cove. 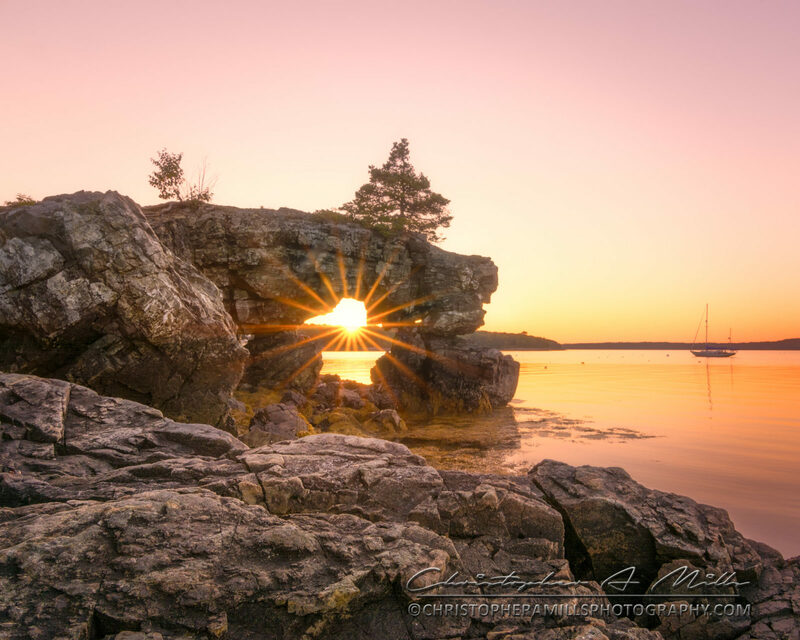 You have to climb down onto the rocks to get this view of the sun lining up with the star shaped hole in the rocks being careful not to slip on the rock weed and seaweed growing on the rocks. It's worth the effort to catch the sunset listening to the boats off in the distance and the seagulls singing as they fly overhead.